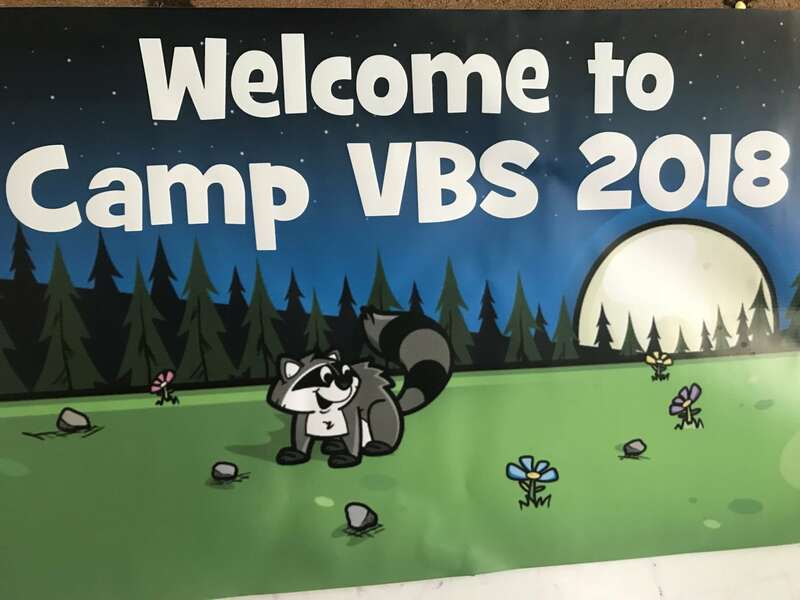 Camp VBS 2018 was Awesome! 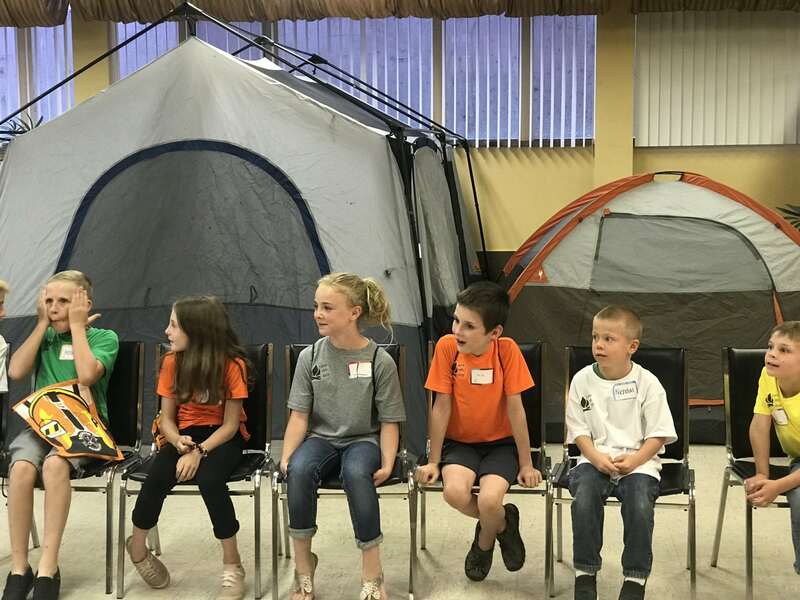 Our Vacation Bible School was June 18th through June 21st. The kids enjoyed dinner at 5:00 and then singing, skits, object lessons, games, crafts and more! It was amazing for us all to hear about Peter being accepted, protected, saved, and forgiven by Jesus. The program was for those entering kindergarten and all elementary ages through 5th grade. We had middle and high school Jr. Counselors who helped out so much! 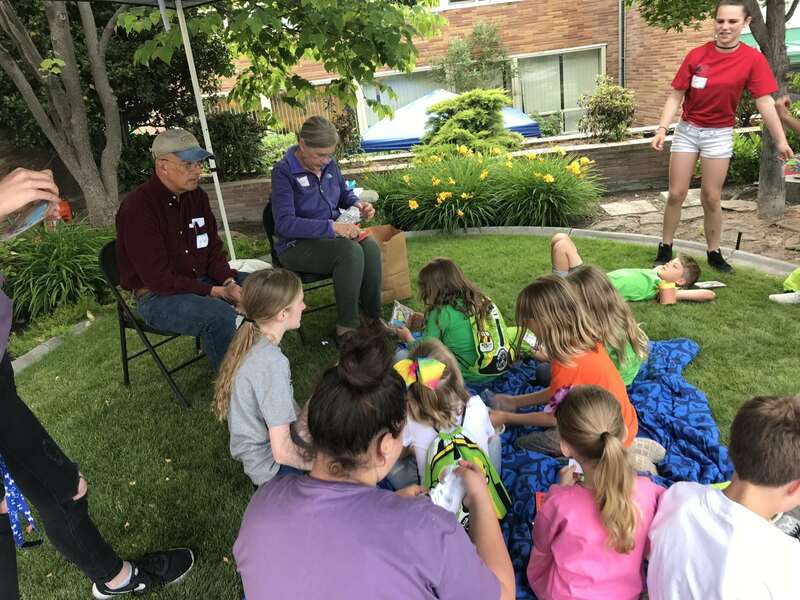 Our dedicated volunteers of all ages were amazing, and we could not have done it without them. This church family amazingly gave their time and talents for the kids of this church and the community. Click here to see more fun pictures! Every day there was a new adventure! Every day there were stations with great crafts and fun games. 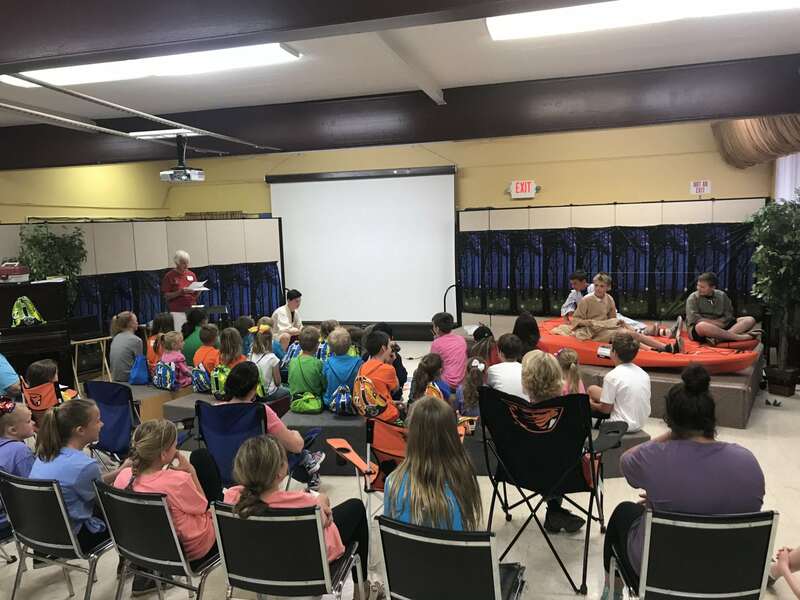 Our campfire time had worship, skits, and object lessons with lots of learning and laughter.